When house hunting, 90 percent of buyers use the internet. In fact, 53 percent of buyers start their search online, according to “The Digital House Hunt,” an extensive report on real estate consumer trends conducted by Google and the National Association of Realtors. More than ever, people head online when it comes to looking for homes and finding Realtors®. According to the 2016 Profile of Home Buyers and Sellers, 86 percent of home buyers consider real estate websites the most useful source of information when buying a home. The very first step that 44 percent of home buyers make when house hunting is to look online. Between 2008 and 2012, real estate-related searches increased by 253 percent. 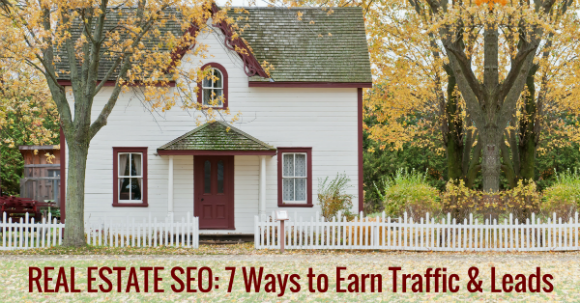 With so much opportunity online, realtors can’t afford to miss out on this valuable traffic; for professionals in real estate, SEO is more important than ever. 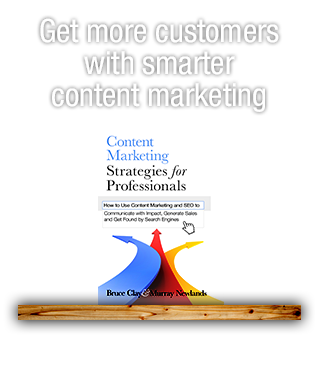 SEO expert and author Bruce Clay’s advice? ➡️ You have to carve out a niche for yourself — think locally, and then expand. Take advantage of photos and videos. Most realtors service multiple cities and regions. However, when you start your website, focus on the main city you do business in first. From there, build out silos that target other areas. Clay explained that you should make your website a resource. On a page like “Living in Glendale,” provide information on school districts, crime rates, median income, public transportation, and statistics on the average homeowner. Really focus on capturing local traffic. You have a much better chance to rank for, let’s say, “Glendale realtor” than “Southern California realtor” — as you build your site and traffic, you can eventually target more competitive terms like “Southern California realtor,” but not right out of the gate. You’ll have more success if you take a more targeted approach. Google expects to see those descriptions of homes appear across the web. You won’t be penalized for including standard listing information. However, if you want to rank for the address as a keyword, you’ll have to include unique content, as well. Whenever you sell a home, get a testimonial. If you have a video camera, a steady hand and good lighting, try to get that testimonial recorded on the spot. A home buyer is ecstatic right after getting their keys. That’s a great time to ask for a review. An Australian real estate group reported seeing 403 percent more inquiries for listings with video than those without video, and studies have shown adding a video to a page triples the amount of inbound link. 89 percent of new home shoppers search using a mobile device during the home buying process. A 300 percent growth of real estate broker-related searches on tablets year over year. Foreclosure searches have risen 180 percent year over year on mobile devices. With these statistics in mind, it’s clear that making your website mobile is an important factor in real estate SEO. We recommend using responsive design, which is Google’s preferred mobile configuration (read more on responsive design). In addition to optimizing your personal website for traffic, there are steps you can take off-site to entice prospective clients, as well, such as optimizing your bio page on your real estate agency’s website, getting listed in directories and using social media strategically. Zillow alone had 498 million page views in a single month and Trulia had 277 million. There’s a lot of potential traffic to be captured by getting listed in the right real estate directory. If you’re a realtor working with an agency, your brokerage house more than likely hosts a web page for each realtor. While it is unlikely that this sub-domain can rank for a local keyword target, this is a great page to optimize for your name. People will Google your name, so it’s something you should optimize for. Clay recommended including your full name in the title tag and meta description. This might be challenging, however, because on the broker site, you’re operating on a domain that you don’t have full control over. Find out what you can and cannot change — if you can alter the meta data, optimize those fields for your name. In addition to ranking for your name, you can also use the bio page to provide contact information and link to your personal website. For additional tips on ranking for your name, check out “Rank for Your Name,” which has more insights on why and how to use your name as a keyword. When it comes to client relations, social media is a great way to start relationships or strengthen existing ones. A realtor with an active social media presence is able to interact with clients where they are every day: Facebook, Twitter, Google+, Pinterest and/or Instagram. Do your research and find out where your target clients are most active socially. Real estate is all about relationships — any record you can build on social media that shows your expertise is important. When people vet you and discover a healthy, professional social media presence, it’s going to signal trust. This article was originally published in 2014 and updated for 2017. 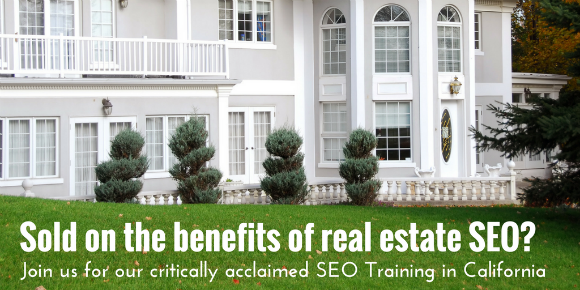 If you’re a realtor or represent a brokerage house and are interested in learning more about digital marketing, we’ve love to have you come to our critically acclaimed SEO training in Southern California. We’ve been a global leader in digital marketing since 1996 and have worked with thousands of companies to maximize their reach online. OC Homes: We’re glad you found the post useful! We keep this information updated because you’re right, there’s a lot of mixed messages out there about how to do SEO. This is finally a piece that helps explain to us realtors how to use the web to build our business. It is so confusing reading all the info that is out there. Thanks again for offering this free content. Thanks Bruce. The discussion of city keywords as they apply to on and off site SEO for real estate sites is always lively. Digital Marketing as a whole has really become an essential part of an average consumer’s buying journey. By the way, this is really a great article! This is helpful for marketers. 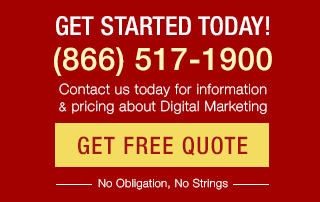 Some of your strategies can also be applied in other aspects of the digital marketing world. 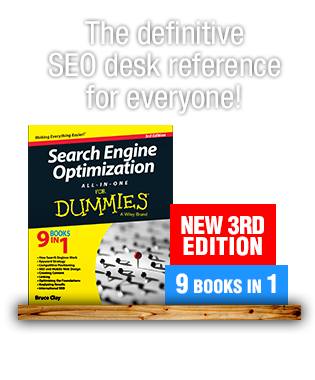 This is a great SEO guide! Thank you so much for sharing it! Thanks Bruce. The discussion of city keywords as they apply to on and off site SEO for real estate sites is always lively. How much is enough and how much is too much. Your thoughts on this relative to Exact and Partial match anchor text would be useful. Content and linking is always important for demonstrating usefulness and relevance, we agree, Shamim. Thanks for your comment! How would a new agent approach local real estate Internet marketing, specifically in regards to listings. If he or she does not have any listings can they post other agents listings? Thank you. From last 3 months, I tried a lot for my real estate client seo. But leads not generate. Through this article I understood what mistakes I had done. Now I’ll start again SEO for my client. Thanks for sharing your success with Google+! Are you personally in the real estate industry? I am fortunate enough (sarcasm) to be in an area that has 2 people who are well ahead of me when it comes to SEO for their real website, by many years. Although I feel that I’m doing a better job creating content and not merely just getting backlinks, I’m in a constant mode of wanting to be better. One thing that has helped me in search results is to post every page that I create on Google+. I’ve created nearly 700 pages and Google+ seems to show these pages in addition to a natural organic search result. Hope this helps and thanks for the post. Superb! Most Agents just don’t get it when it comes to their website. Their website is a tool for their business, not unlike having a nice 4 door sedan or SUV. The typical Agent’s templated website is nothing more than a bill-board lost in space. Thanks for this great Article! Thanks Kristi! I have a potential RE client and was looking for some guidance. With the zillow’s and realtor sites dominating even the local cities this is clearly a niche where you need a good plan going in. Appreciate your info. Niche is still key and local even more so. Real estate continues to be a local industry no matter how much brands, portals and brokerages themselves, build national companies. Also, national brands, as the ones mentioned above, have large funding pools far above the average real estate broker making it very difficult for local brokers to compete in search. Ads and social media seem to close that gap. I have done everything except #4 “Make Your Site Mobile” because i have an old theme installed that is not mobile friendly and i am worried about that. On the other way i have very big local real estate (renting and selling properties) website made with WordPress with a lot of posts and pages with shortcodes for gallery etc. So i wanted to redesign it and make it mobile friendly but do not know what to do with these shortcodes because every page/post has gallery with images so i have to make everything from the beggining and that is going to be very hard job. Do you have any idea how to make it easier? I have exported all content from the old theme but when i import it in new theme, none of images is shown and shortcode is visible instead? This is my main website and i have to make it mobile friendly. Thank you in advance, best regards, Margareta. I was always wondering how difficult it will be to apply SEO to real estate agents due to the fact there are high authority sites in page one. Thanks for this, so much information; you really know your stuff Kristi. I will actually have to come back to re-read it to ensure every ounce of detail sticks with me. I am only just beginning to see the potential of using Social Media in my Real Estate SEO. Much of my past marketing has been using traditional means – even online. I do think it’s can be cool also to add some instagram photos whenever you visit a place linked to your website articles. As Jim said, structured data and now schema.org are also a must have ! Simple and effective, I love it. I think I’ll just bookmark this and when I get a real estate client, I’ll just run down this checklist :). You made great points. Pictures and videos are important as well as being listed, and I really believe in building citations as being listed. Incorporating social media is important to because that’s where millions and billions of people are! Plus, it let’s customers see your company’s personality. I like the idea of having a blog and creating content about the housing you’re selling, too. I think #2 is really important, but it is also important to include strutured data markup for address information as well. Many folks search for info on homes for sale via the Address of the property…valid data markup can help google understand your page is the one to serve up in the SERPs.